I seldom see wines with grilled meals and have rarely ever thought to serve wine. Lately I've been seeing more wines being suggested for grill outs, and both my boys are of age. Before the boys took off for the summer (one to Bolivia and the other out west), I grilled up some steaks and served Tenuta Frescobaldi di Castiglioni which is an iconic estate wine from Tuscany. The Tuscan wines are made in fives estates across Tuscany. The family estates have been run by 30 generations over 700 years. The wineries are beautiful with lots of fancy art (even the posts at the entrances - carved stone I think). You may be thinking this wine would cost a bundle. No. It depends on the year, but the cost is around $23. Both my sons prefer white wine (or they did). 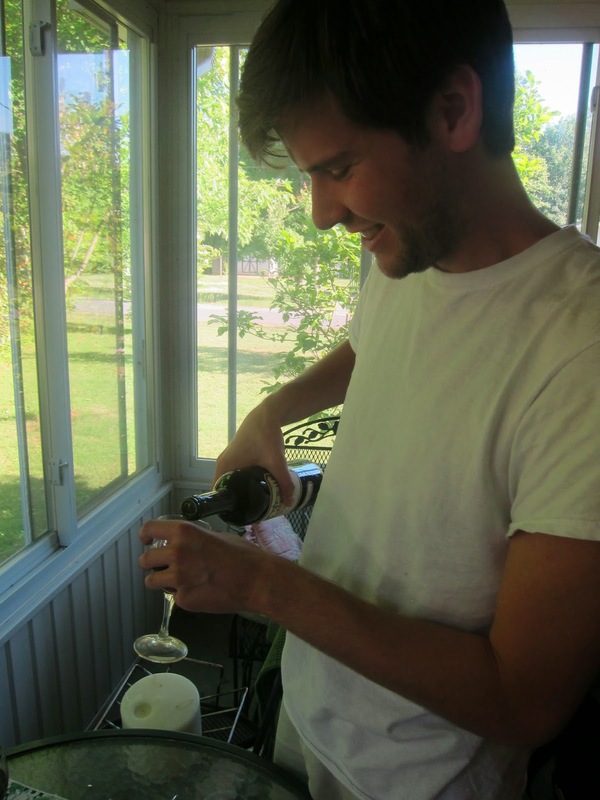 They generally find the red wines they have tried to be too sweet. In this case, the wine was well balanced with a dryer flavor of Merlot and Cabernet. My older son especially loved this wine, and the younger one did too (although is still leaning toward whites). Myself? I didn't get much wine with two college aged sons, but it really was excellent. I generally go a little sweeter with a red, but this one had such a rich and full flavor that I'd pick this one now. *The winery sent wine samples and asked for honest feedback and hopefully a review. 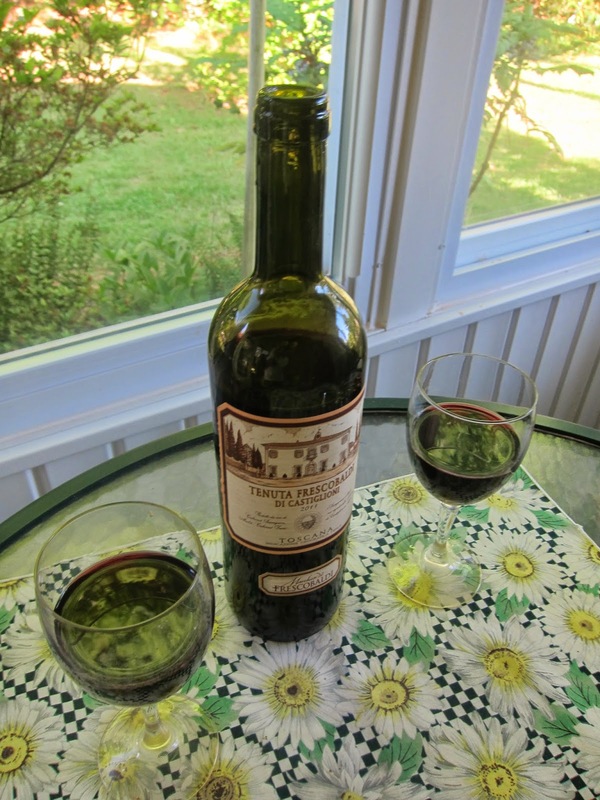 After trying this wine, I wanted to share, because it is a wonderful wine that is in a reasonable price range.